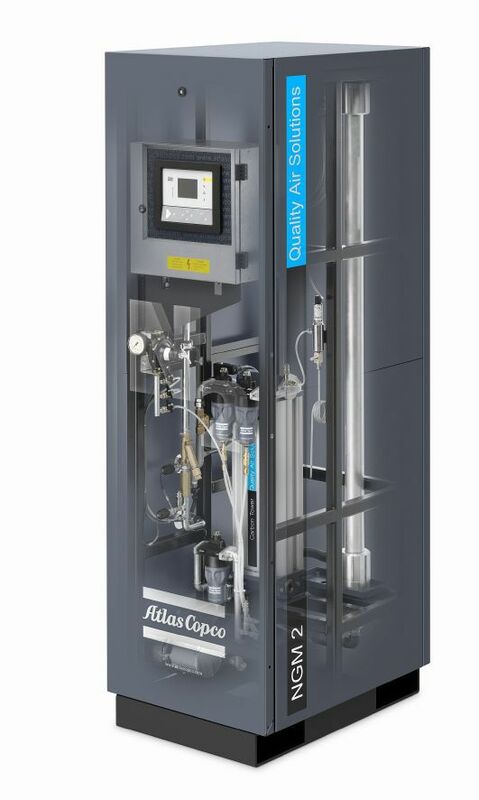 Atlas Copco’s NGM membrane nitrogen generators provide a cost-effective, reliable and secure supply of nitrogen. The nitrogen generator’s working principle is based on membrane air separation. The membrane allows nitrogen to pass and other gases (like oxygen, water vapor and CO2) to permeate. The NGM series delivers flows from 5 to 500 Nm3/h and purities from 95% to 99%. These features make the NGM ideal for applications such as fire prevention, tire inflation, oil & gas, marine, packaging and more. Cost savings – Our NGM systems are characterized by low operating expenses, and the absence of additional costs such as order processing, refills and delivery charges. Maintenance costs are kept to a minimum too. Convenience – NGM systems are continuously available, 24/7, to eliminate the risk of a production breakdown due to gas running out. High purity – We guarantee the nitrogen supply according to your needs, from 95% to 99% nitrogen purity. Optimal flexibility – The NGM is available in many sizes and thanks to its modular design, your NGM set-up can be adapted to your specific needs. Efficient control – To guarantee maximum uptime, continuous surveillance is a must. By properly monitoring your system with the NGM’s electronic panel, you decrease downtime as well as save energy, reduce maintenance and increase production throughput. 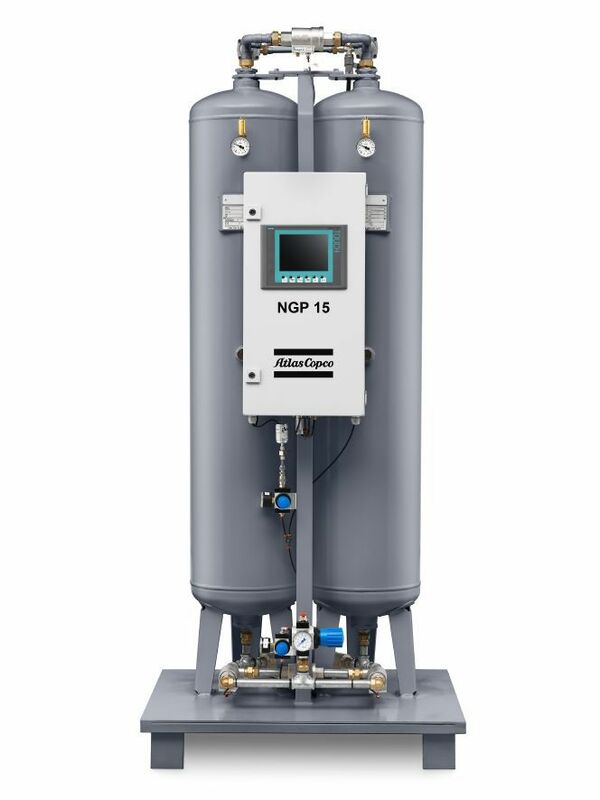 Atlas Copco’s NGP nitrogen generation systems provide a cost-effective, reliable and secure supply of nitrogen. The nitrogen generator’s working principle is based on Pressure Swing Adsorption technology, which entails carbon molecular sieves that selectively separate oxygen from nitrogen. The NGP nitrogen generator is perfect for applications such as food and beverage, metal processing, electronics, etc. Cost savings – Our NGP systems are characterized by low operating expenses, operating expenses, and the absence of additional costs such as order processing, refills and delivery charges. Maintenance costs are kept to a minimum too. Convenience – NGP systems are continuously available, 24/7, to eliminate the risk of a production breakdown due to gas running out. High purity – We guarantee the nitrogen supply according to your needs, from 95 to 99.999% nitrogen purity. Plug-and-play – The NGP is delivered ready to use, you only need a supply of dry compressed air.